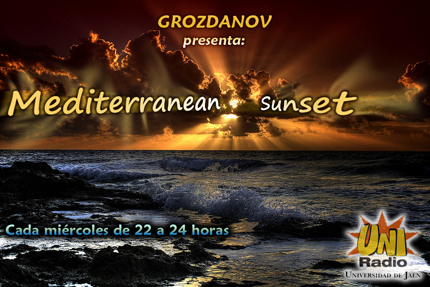 TODAY, from 22-24 CET I’ll be the guest on Grozdanov’s radioshow Mediterranean Sunset. I’ve prepared an uplifting and energetic, 30 minutes guestmix. Tic Tac Trance #047 Replay available! 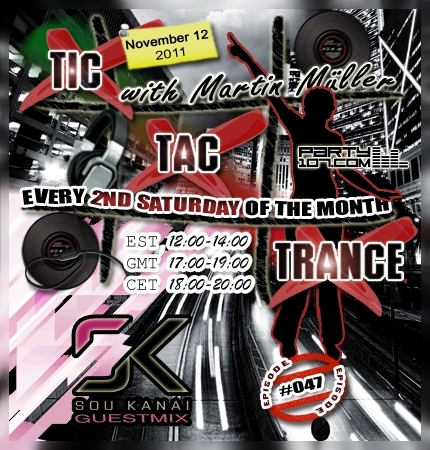 On November 12, 2011 episode #047 of Tic Tac Trance will air on Party107.com! It’s a pleasure to announce Sou Kanai from Japan as my guest for the second half of the show! 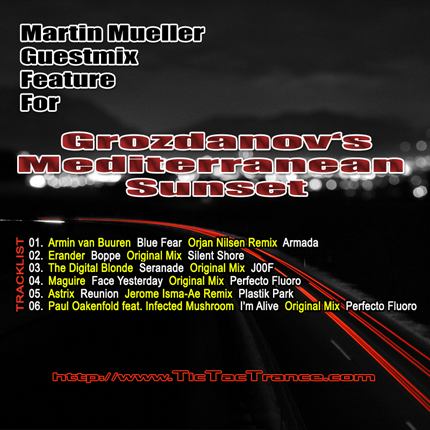 He’s one of my favorite uplifting trance producer newcomers of this year. 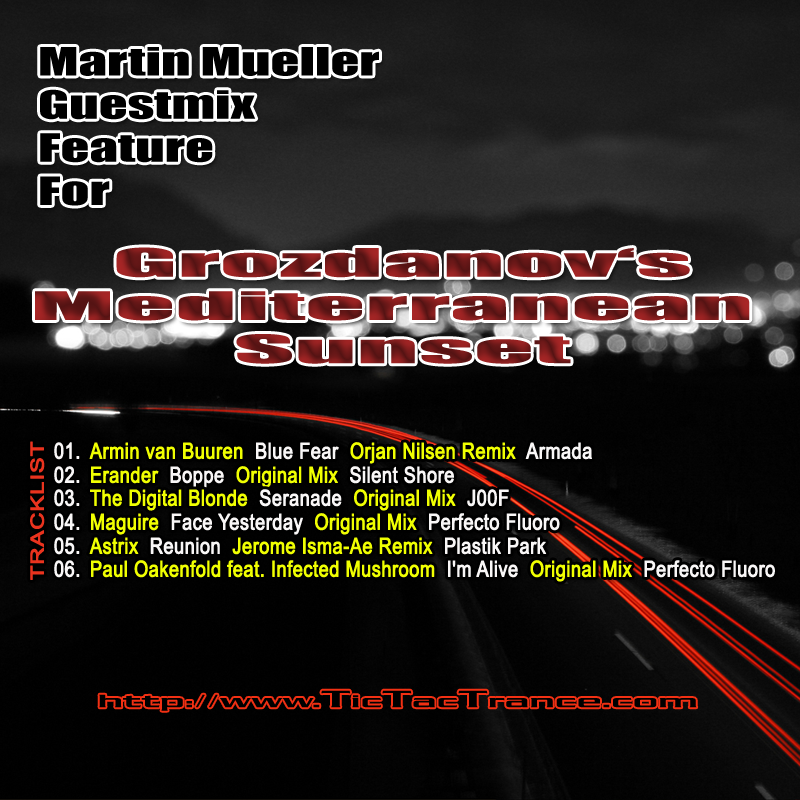 That means it’s no surprise that his mix will feature a bangin & uplifting peaktime selection of trance! For the first hour I will present you my current collection of favorite tunes from labels like Monster Tunes, Perfecto, Discover, Anjunabeats and many many more!